There’s no doubt that 2015 has been a good year for youngster Jordyn Smith of Central, as the last major competition she fought in – the Cadet Europeans, she was crowned Champion of the -33kg division. This weekend will see the talented teenager return to action for the first time since, at the Cadet World Championships in Muju, Korea from 23rd-26th August. 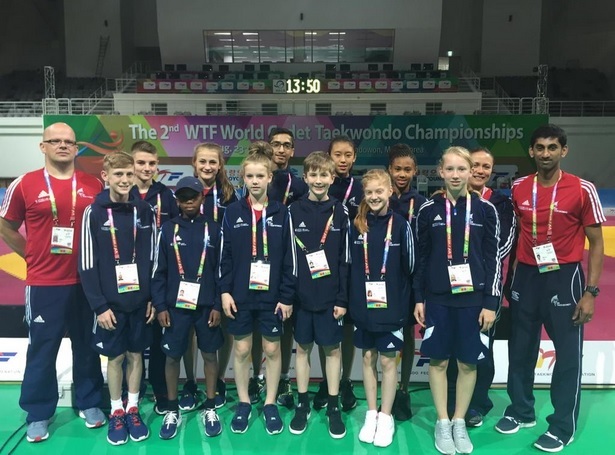 Jordyn will be joined by fellow European medallists, Holly Kelly of Jeon-Sa and Matthew Guest of Lion TKD as part of an 11-strong squad which was selected from a range of clubs across the UK.